Uitspanning Zonnedauw shows that all these techniques are easy to apply in conventional looking homes. 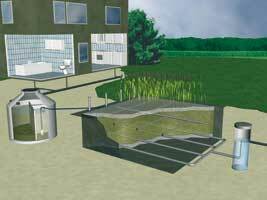 Purification of the waste water in this project will take place in an IBA (individual sewage treatment) system based on a helophyte filter in combination with a septic tank. Electricity generation by means of PV (Photo-Voltaic) collectors, in combination with ‘small’ wind turbines. The interiors and tap water will be heated using heat pumps fed by an aquifer or earth tubes, as well as by means of regeneration through the infrastructure. 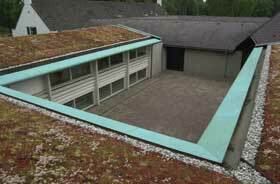 Air/water heat pumps will also be used. Energy loss from the rooms as a result of ventilation will be minimised by pre-treating the cold air in heat exchange units. The following step could be that the buildings themselves become energy suppliers; coupled to each other like the Internet, for example. EcoRanch believes this step to be viable in the near future.